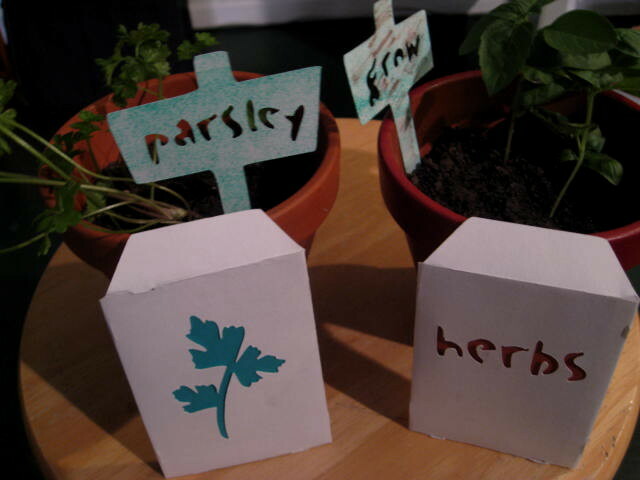 Have you ever grown herbs in your garden? How about a pot or two on a windowsill in your home? 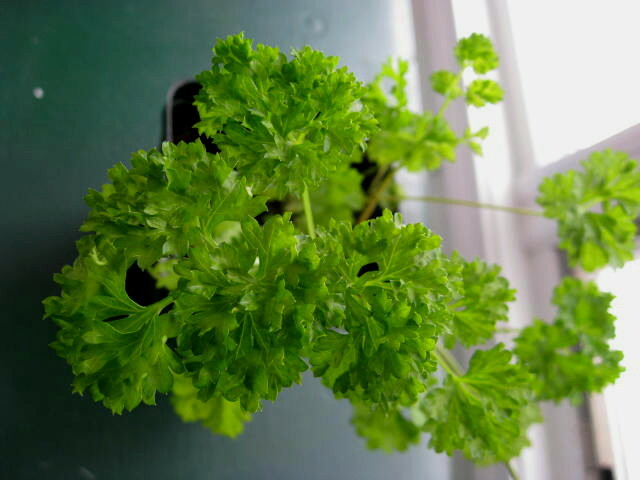 Many people have and are Happy Herb Growers … best part is … it’s relatively easy. 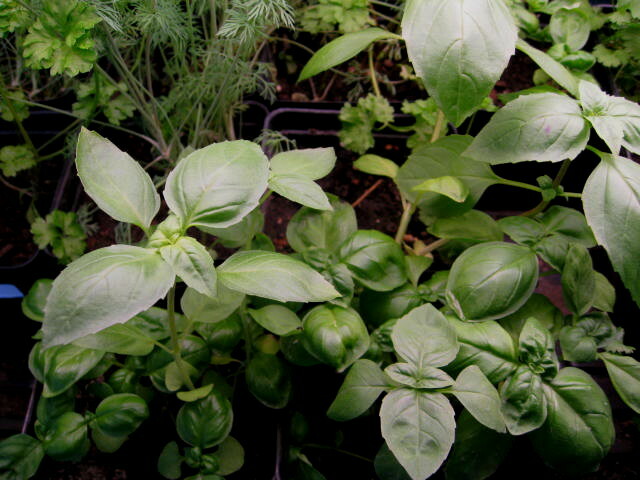 Growing herbs indoors in the winter takes a bit more of your attention, but if you watch the progress on a daily basis, you will be successful. A warm sunny windowsill is required or grow lights working 10-12 hrs. a day. The air in the home is very dry so the soil will need watering almost on a daily basis if under grow lights. 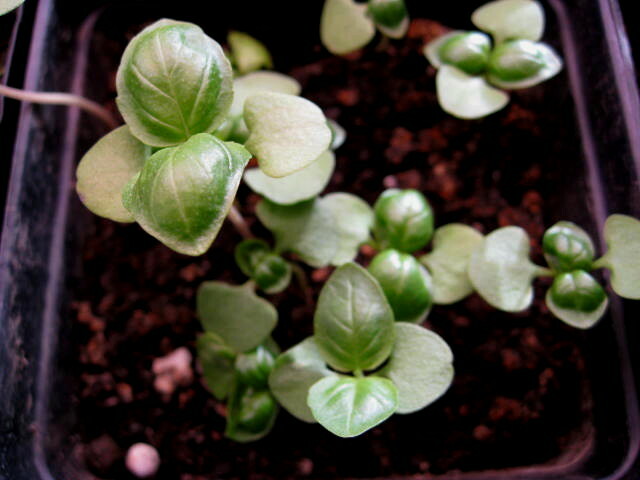 At first the seedlings will grow slowly, but once established they will take off. What better thrill when you are cooking dinner and you can turn to your herbs, snip off some basil, parsley or oregano to add to your meal and impress your guests with your cooking skills and also your gardening expertise! I always include herbs in my gardening plans and this year is no exception. I started several herbs back in November and they are at the “taking off” stage in their growth. 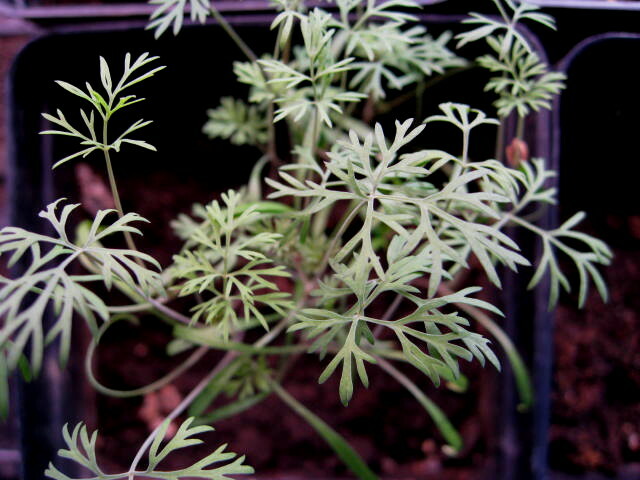 Here is my Dill ….. 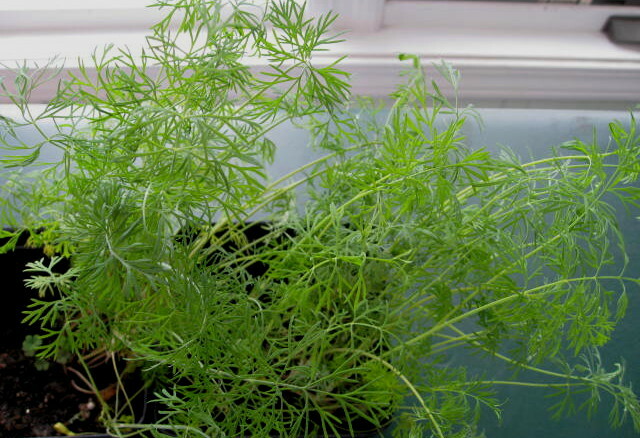 I love the taste and smell of Dill and I have found planting the seeds all together so the herb grows in a cluster works well since it can grow up to 4-5′ in height and this method supports each individual plant. 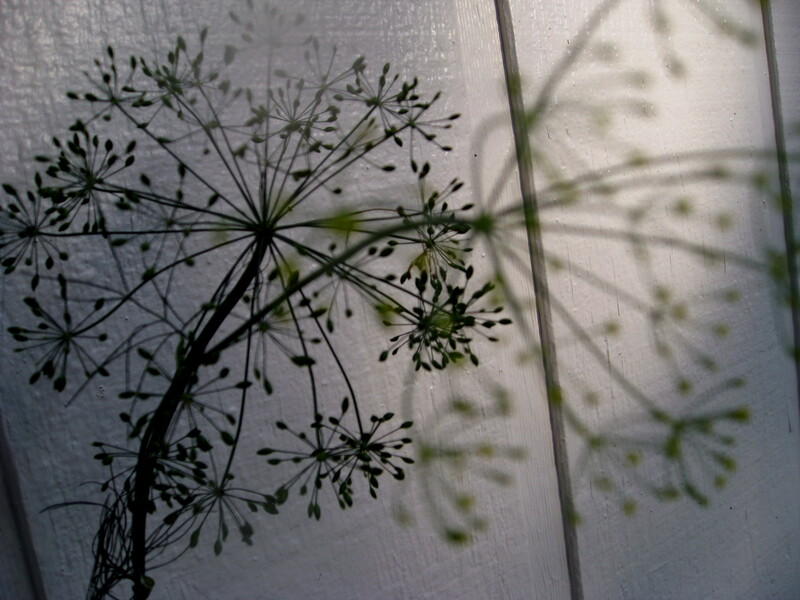 Dill requires full sun once planted out and once the days become extremely hot, it will bolt and go to seed. 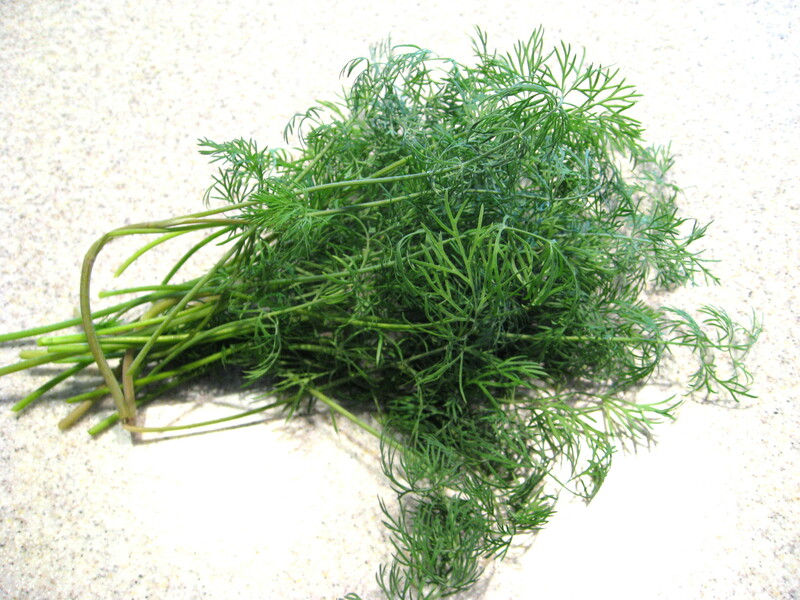 The neat feature with Dill is that you can use the leaves, the flower head and the seeds in your food preparations. Using the flower head along with other herbs and spices is recommended when canning up pickles. 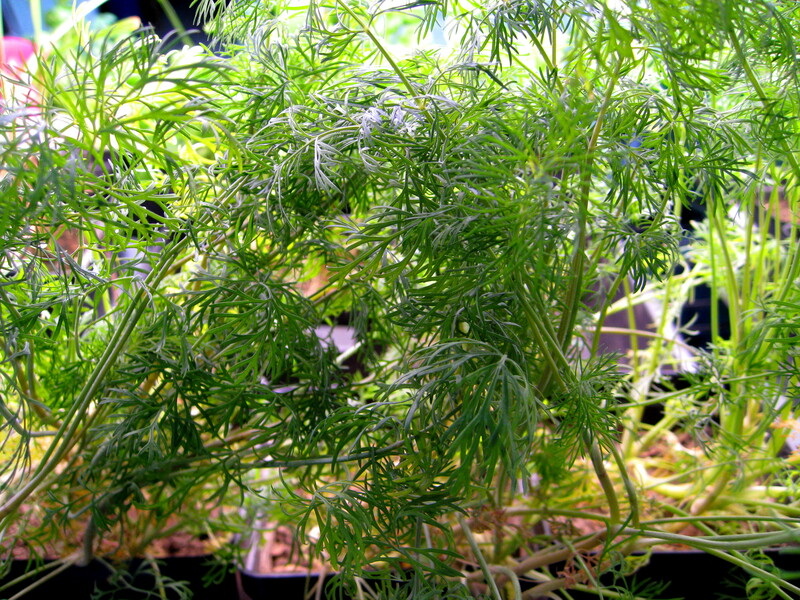 Dill works great on seafood, in cheeses, breads and salads. Drying dill for later use is an easy process. Snip the amount of dill or other herb (basil, oregano, sage) gather in a bunch and tie the stems. Hang upside down in a cool, dark location and in a couple of weeks you have dried herbs. Find a glass or plastic container for storage and use generously in your cooking adventures. Experiment with different combinations in your garden and in your kitchen. The fresh flavors that herbs offer can turn an ordinary meal into a work of art! I am thinking of adding that bunch of dill to some grated ginger and lemon along with white wine vinegar and oil for a nice salad dressing….oh, and I can’t forget the garlic! 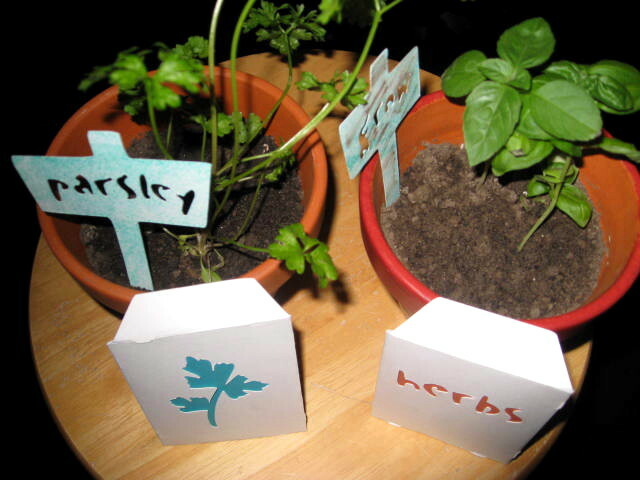 What do you think … time to grow some herbs in your garden or on that lonely windowsill?? 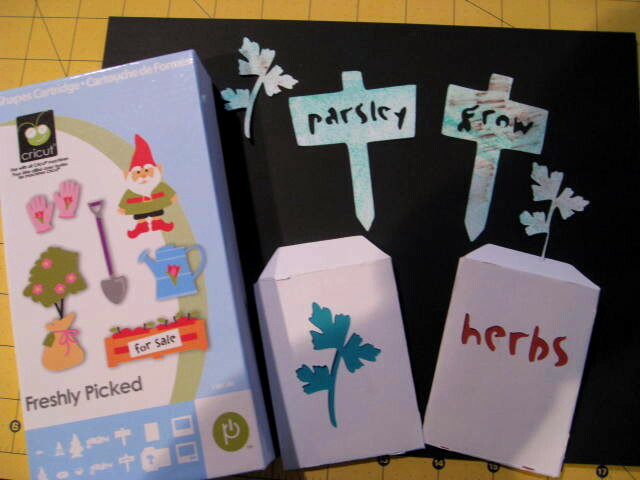 I finally started work on my Gardening List for the coming 2011 season. Although I have notes and little reminders here and there, it’s time to pull it all together and get organized. In previous years I have included my list on the above tab “Gardening” and will continue this year. My biggest challenge when planning for the coming season is the fact that I am torn between two homes which are a travel distance of 5 hours apart. I have learned over the past few years that you really have to be on location when gardening and if you are gone for several days in a row, you need to have someone look after all your plants. This little tip hit hard last summer when I was gone for 2 weeks and the weather scorched out at 115 degrees and did a number on every little and big plant I had growing. 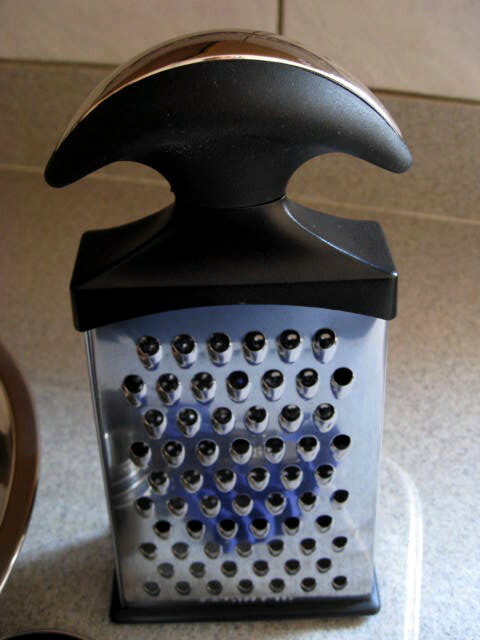 It was a painful experience and still very clear in my thoughts. 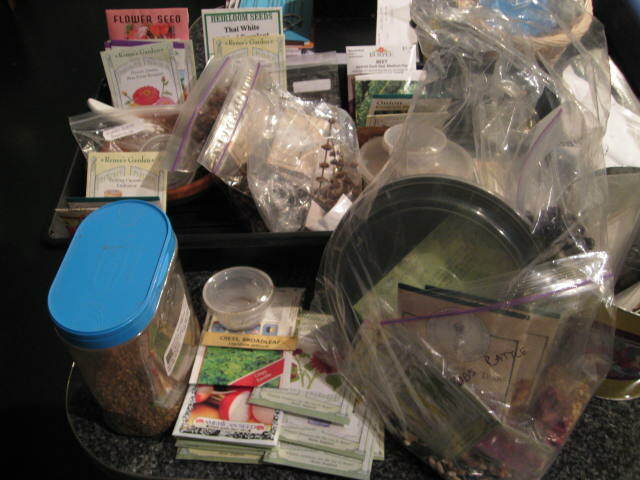 So as I look through my seeds, I have to first decide where I will be spending most of my time and if I do leave; will the plants survive. 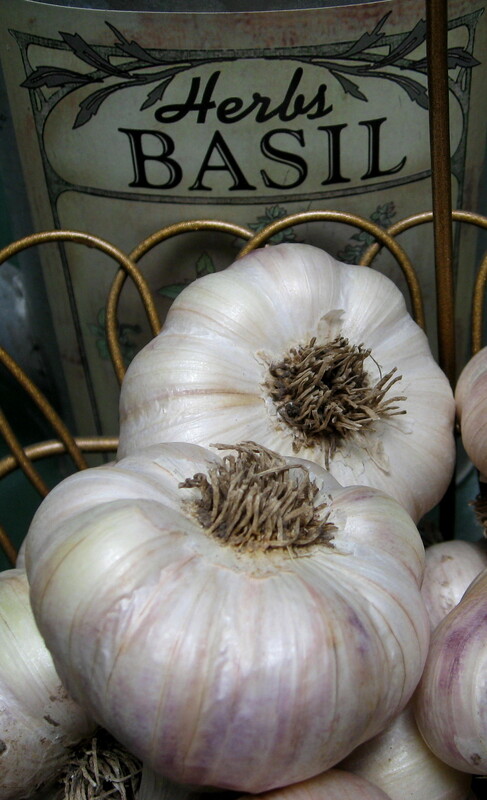 The garlic was planted October, 2010 – 500 bulbs here up North and about 300 down South. 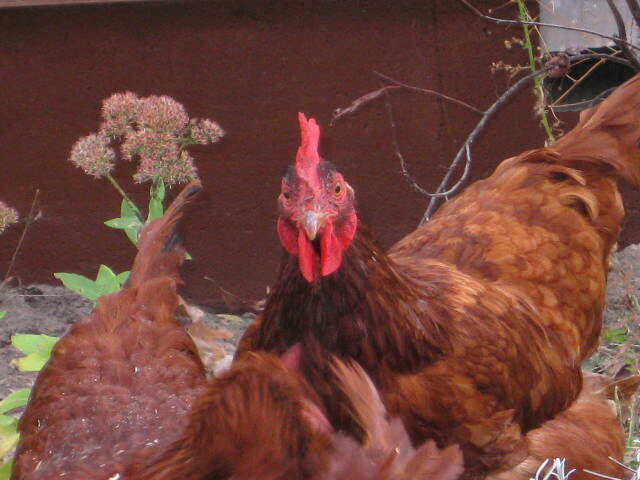 They are sleeping well underneath the huge layer of snow right now and will wake up as Spring approaches. Mid-July I will be harvesting all the garlic and then it will cure (dry out) for about a month. The 5 varieties growing this year are Chet’s Italian, Inchelium Red, Chrysalis Purple, Persian Star and Chesnok Red. This year I intend to grow more Sunflowers. They have always amazed me and I find them such a daunting yet graceful (in their own way) flower. 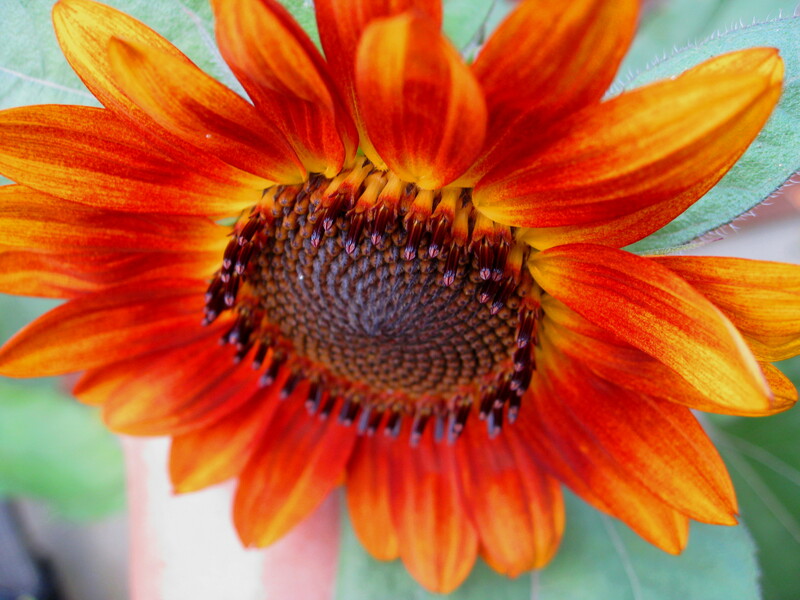 I have my seeds all ready and waiting the exciting season ahead … Chocolate Cherry Sunflower, Junior (good for containers), Cinnamon Sun, Autumn Beauty and I am trying the Edible Snack Seed Sunflower also. I will be working on “the list” today and although I have my updated version posted, I still have to decide what to plant where and most importantly … Where am I going to be? Will it be Munchie Monday or Menu Monday … that is the question! The poll is still open for your vote ! 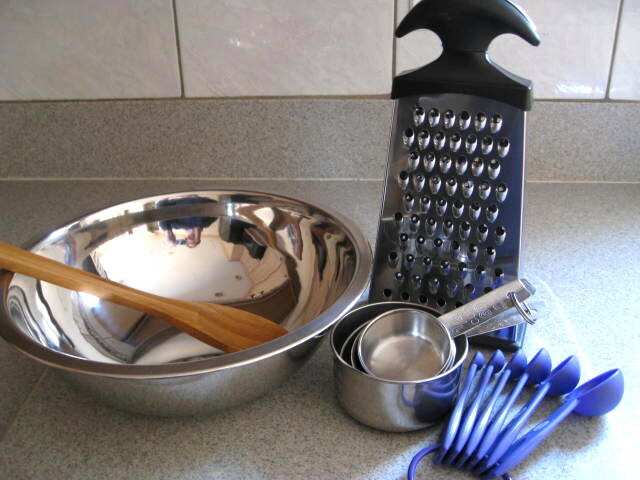 Make sure to have your recipe ready for Monday … when the fun begins!! 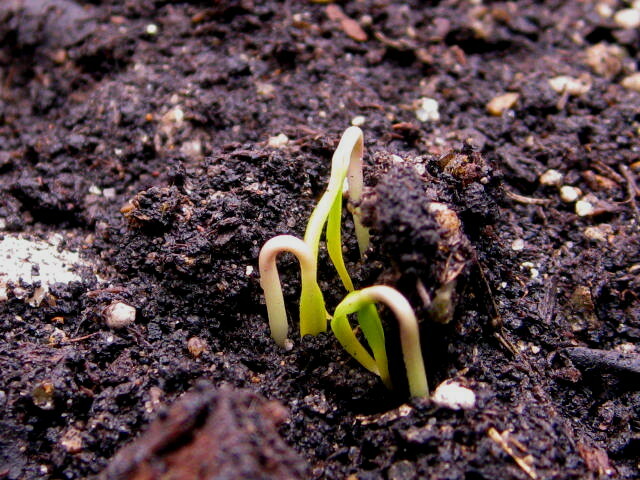 There is nothing quite like the feeling that fills your every cell when you spot those first seeds starting to sprout. The excitement just wants to burst from your insides as you stare in amazement at the little green stems pushing their way out from underneath the dark black soil. The journey that lies ahead for these tiny sprouts of green is nothing short of a miracle. From tiny seed to fresh juicy vegetables and colorful blooming flowers in a matter of months …… a lifetime for most garden plants. 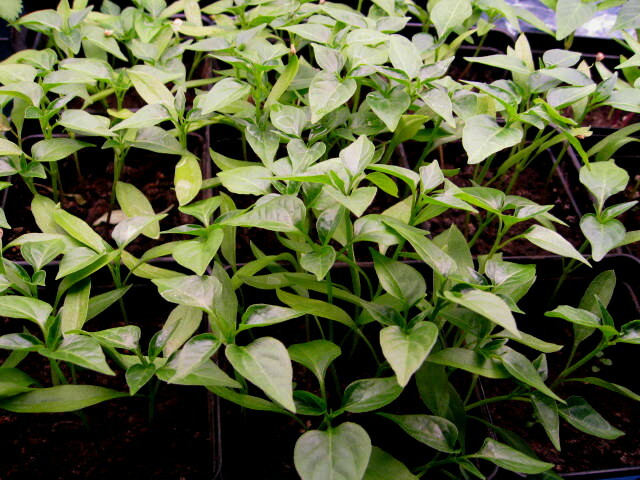 These are my pepper seedlings which I started back in December. Rather early to start seeds indoors for the coming season, but I have found peppers grow at a slower rate than other plants. This year I want to transplant some big ole pepper plants into the ground! That way I will be able to harvest peppers earlier than in the past … which was late summer. I may need to transplant these into bigger pots before they find their final home in the outdoor garden. I have attempted to start tomatoes earlier and they tend to get leggy and unmanageable so it’s best to wait on them for a few more weeks. 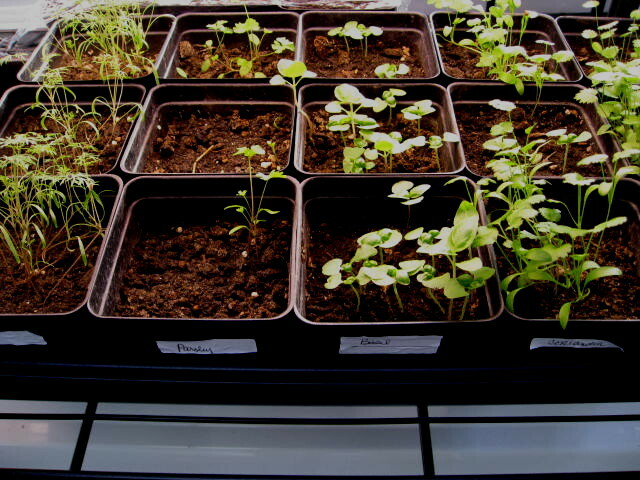 Back in November I also started some herb seeds indoors and they are doing great! I plan to harvest some this week. I am fortunate to have a nice setup of wire shelving racks with grow lights that supply constant heat and light for my little growing garden. I do water at least every other day since the air in the house is very dry. 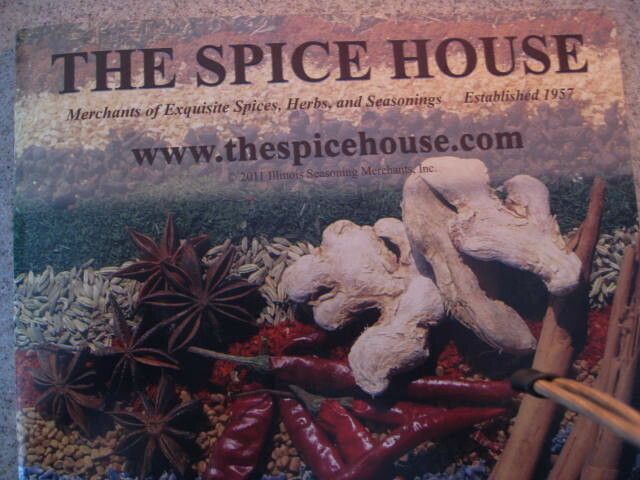 Can you name the types of herbs in the three pictures above? 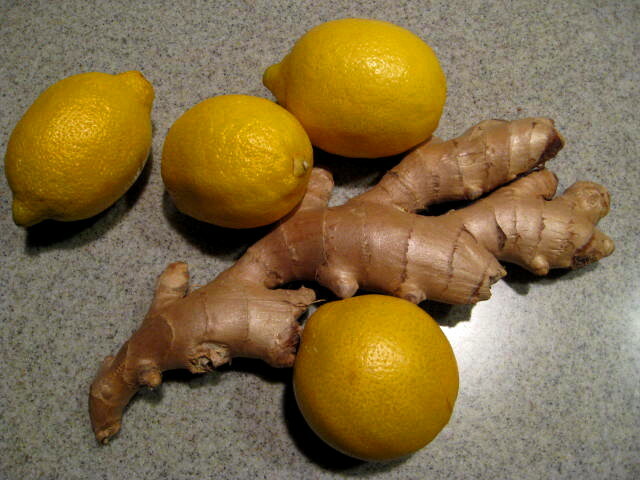 Three common every day herbs …. During the winter months I go through my saved seeds every few weeks and decide if there’s something I can start planting. Since I have accumulated quite a number of flower seeds this past season (I am obsessed with saving seeds), I decided to send some along to you! So watch for next week’s Tuesday post and how you can receive your free seeds. It will be easy so don’t worry. 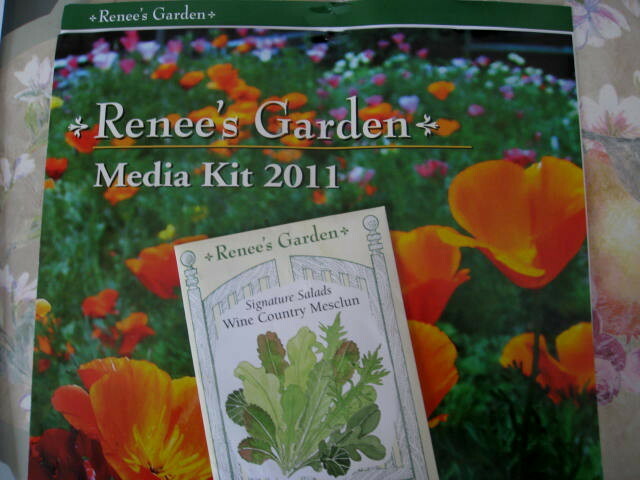 I also like to send a Thank You to Renee’s Gardens for the recent Media Kit they sent along with a packet of Mesclun seeds (which I might just start any day now). Thank You! Also take a look at P. Allen Smith’s plant suggestions. 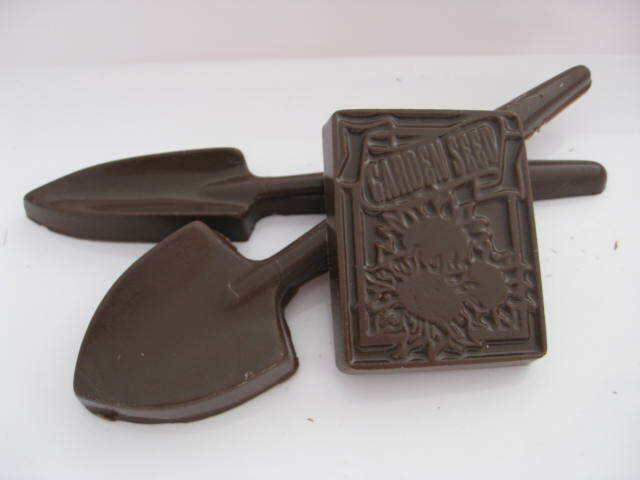 If you are new to gardening or looking for Spring ideas, bookmark his site which is filled with helpful ideas. A little over a month ago (November 9th) I planted herb seeds under grow lights looking forward to fresh herbs throughout the winter months. They are doing well and are oh so Cute! It’s funny …. 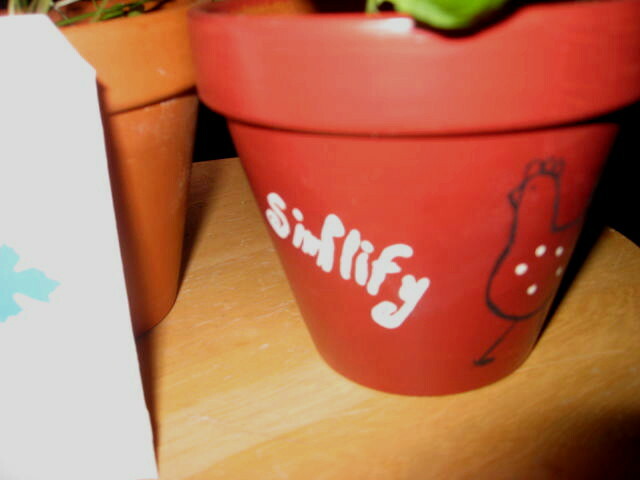 as I take pictures of the little herbs I think how they are cute like puppies or little babies who eventually grow up! Flaxseed seems so mysterious, right? I seem to find myself drawn to unusual plants and the discovery of how they grow; luffa, ginseng, gourds, cotton, so flaxseed seemed to fit right in. We have been purchasing flaxseed and adding it here and there to our recipes. The cost is quite high but we figured our health is well worth it. 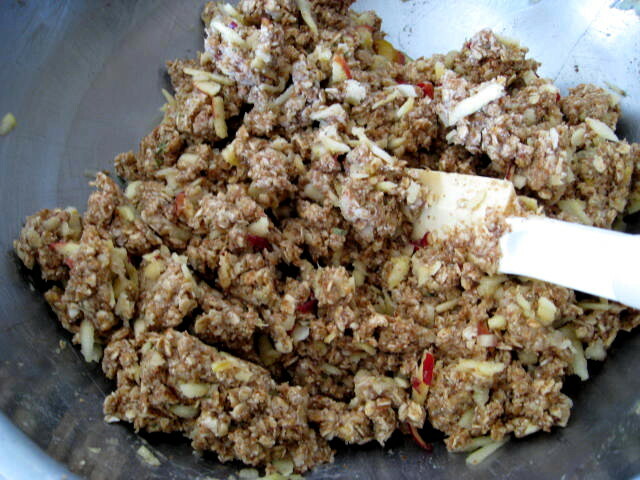 It lowers cholesterol and is a healthy addition to most any recipe; it does have a strong flavor though. The flaxseed flower is small, purple in color and grows into swaying stems adding a beautiful scene for your garden landscape. 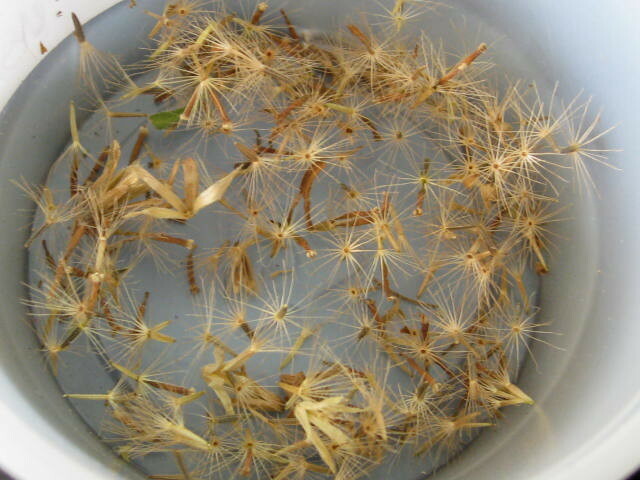 The flower then goes to seed at the end of the season and each seed head contains several seeds. Harvesting the seed when they are dry is rather easy, but cleaning for the flaxseed is very, very time-consuming. Would I recommend growing flaxseed in your garden? Only if you are looking for an easy flower to add to your garden or if you have the proper cleaning equipment which is a huge investment then yes – Grow Flaxseed. 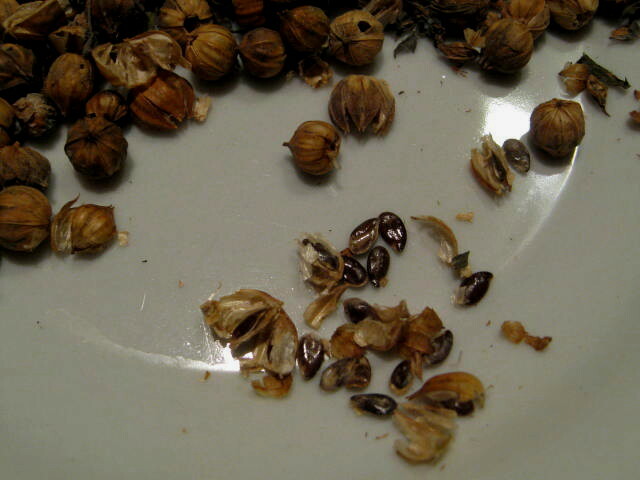 The seed can be ground up into powder which can be accomplished with a coffee grinder, but the time to get to this point is like I said … very time-consuming. 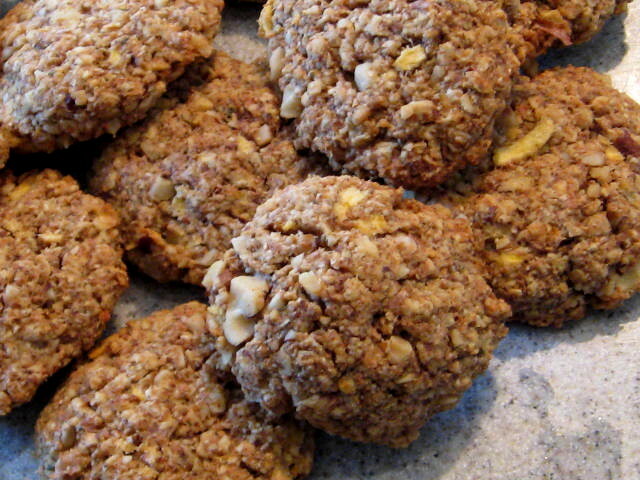 I am always looking for the ultimate healthy (sweet) snack so I decided to create another cookie recipe using flaxseed and they are pretty Good! 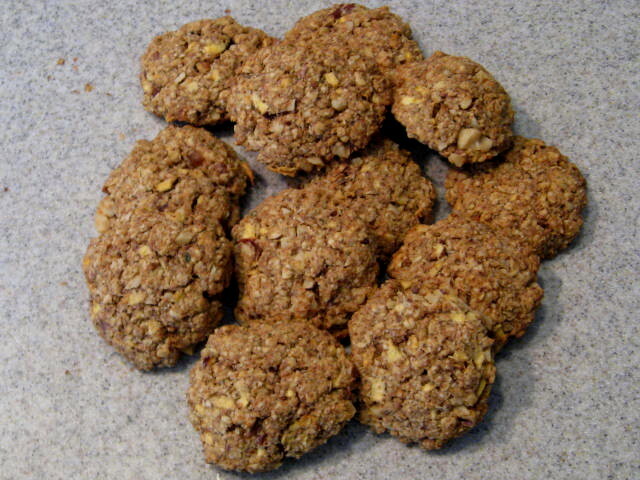 I named them Oatmeal Apple Flaxseed Cookies and posted the recipe at Mixing Bowl in the new group Garden Dish I recently created. 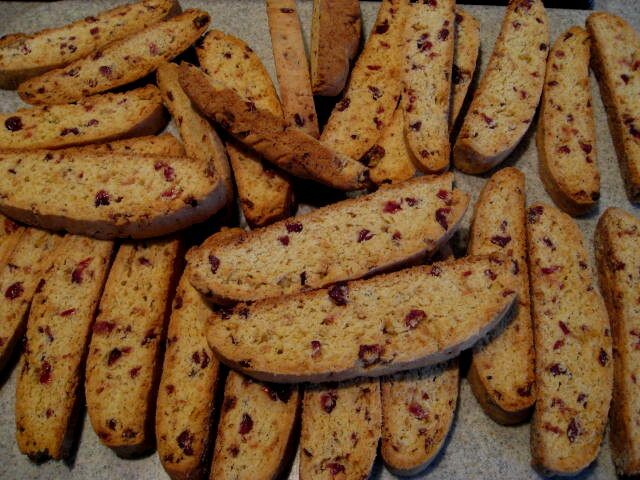 As with all recipes, ingredients can be added or eliminated depending on your tastes. I wanted to use the Sage I had just harvested also (another strong flavor) – surprisingly it’s flavor is somewhat faint….maybe more next time. 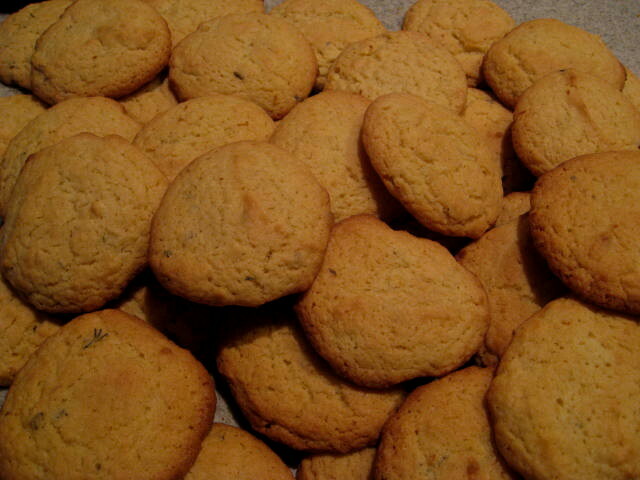 The batter was somewhat dry so I ended up adding 1 tablespoon of oil – that’s all it needed! On my way to creating the Ultimate Healthy Sweet Snack! I decided to start some herb seeds now under my grow lights. I already miss my gardens and the snow hasn’t even started to fall yet! I have a nice setup with lights to start seeds so I planted a few trays; mostly herbs with a few flower seeds. This past summer I ordered and planted Stevia seeds. 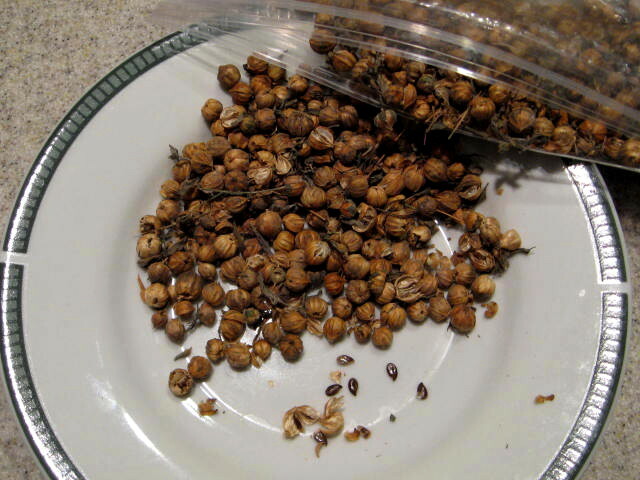 When I received the seeds there were very few in the package – about 5. I thought this must be an expensive, unique plant so I saved seed from my own plants and this is one I just planted under the lights. 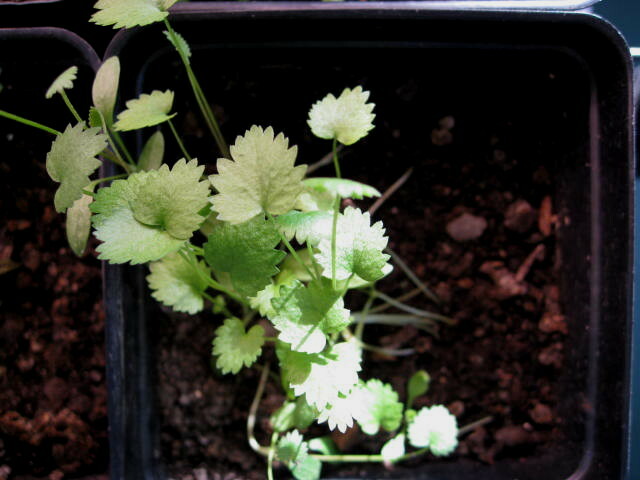 Stevia seed – I didn’t really do much with the stevia as far as cooking, but I made sure to taste the leaves and they taste just like sweet sugar! 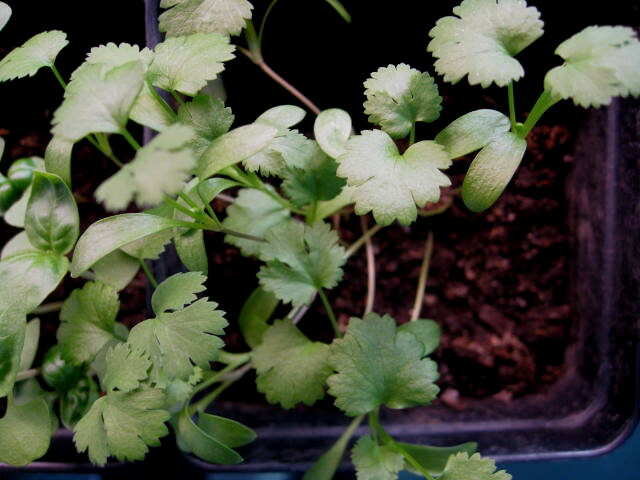 I hope to create some healthy food this coming season – I already see there are a few cookbooks using Stevia out there! Make sure to “Like” the RunningGarlic fanpage on Facebook and sign up for the Newsletter while you are there! Thanks!